Nana traded her soul for them. if she did, those pogs better make her pizza. nah, even better, those pog’s make her grand child happy! Can I use the Desecraror 3000 In my compost heap as well and, does it come in the square garden shovel models for those hard to decapitate zombies? Yes! Hahaha I collected Pogs in…. kindergarten? i dont think kids still play with pogs, which i kinda understand, there where no point to them, you just had to collect them, they where the beta pokemons. on topic, kinda, this is the best comic so far. Since you know what to do in case of zombiefication, perhaps you should draw a comic enlightening the rest of us so we know what to do, too. I second this. It would be so helpful! I love how the kid bug holds the uzi!!! I knew I'd lose some folks by referencing pogs. Pogs were this collectible game, predating Pokemon I believe, that used these little, plastic discs. I thought about having the little bug losing something less obscure but losing pogs, for some reason, made me chuckle. Agreed. A very good choice. They better be the expensive brand name pogs that cost a quarter instead of the cheap knock offs that only cost a dime. If it was just for the pogs, I wouldn't dig nana up. Now if there were a few Slammers (metal ones to be exact) in that coffin, nana would be up in a jiffy!! I found your site this morning and have been catching up all day. You are going on my daily list, thank you. Am I the only one who had to google what a "pog" was? Pogs originally were the plastic covers on glass milk bottles. Perfect choice for this strip btw. This is now my favourite comic. ya i know the 90s weren't that long ago were they? oh my god, haven't heard of Pogs in ages. 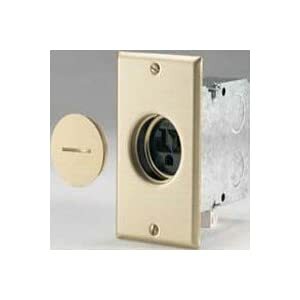 I used to steal the brass socket covers off the electrical plugs in junior high. The groove for the slotted screwdriver made a vacuum when used as a slammer that toppled many a stack. Aww.. now I feel old. 🙁 Thanks for the laughs! These are the socket covers! now where are my pogs? Heehee! Did anyone else notice how in the third panel Bugs arm isn't leaning on the shovel, it's wrapped around it? The pogs reference made this comic. Wait…kids still played “Pogs” in 2010? Hell I’d play now if i still had some. Crud. The Desecrator 3000. I only have the 1000. There goes the tool budget for this month.